Yesterday, Governor Doug Burgum attended the 8th Annual State of Technology Conference in Fargo. It was here that he preannounced a $30 million “investment” into a statewide tracking network for unmanned aerial systems (UAS) as part of his Executive Budget that’s set to be unveiled next week. Back in April, Governor Burgum instructed state agencies to craft smaller budgets for the upcoming biennium. 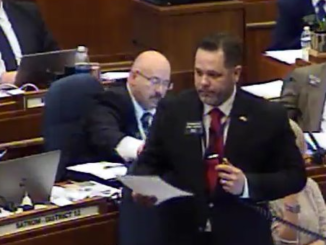 We think those cuts should be deeper, but Burgum and others have been eyeing Legacy Fund earnings as a means of continuing to spend more than they should. The reality is that the Legacy Fund has simply become an excuse for spending. So, guess where the money is coming from to fund the $30 million UAS network that Burgum loves so much? That’s right— according to reports, the Legacy Fund’s earnings. I can’t say that this is a surprise. If you look at the previous links, we’ve been warning about this for almost a year now. An interview with Point of View’s Chris Berg gives us some insight into what Burgum’s thinking is behind all of this. 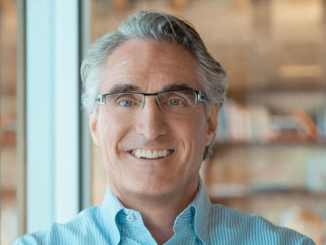 With words like “investment” and “competitive advantage” — together with his love of technology — there’s little doubt that the businessman side of Doug Burgum is coming through. 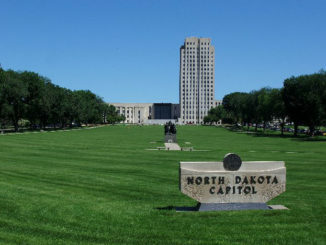 A press release back in May, from the Governor’s Office, announced that the North Dakota Department of Transportation (NDDOT) had been selected by the Federal Aviation Administration (FAA) as “one of 10 participants in the Unmanned Aircraft Systems (UAS) Integration Pilot Program, an initiative aimed at shaping the future of drones in America.” But here’s the kicker… the Memorandum of Agreement connected to the program shows that, “Each party will be responsible for all of its own costs…”. In other words, North Dakota foots the bill. It should be noted that Governor Burgum’s role in the development of UAS’s in North Dakota is simply a continuation of previous administration’s. Then Governor John Hoeven helped establish a program that provided grants to the Center for UAS Research, Education and Training at UND. He’s continued his work on making North Dakota a hub for UAS development as a U.S. Senator. Just last month, he touted his accomplishments in relation to the issue on his Senate website. In July of 2015, Governor Jack Dalrymple presented a $5.6 million check to Grand Sky Development Company to assist with construction at Grand Sky tech park in Grand Forks— the first UAS business and aviation park in the country. There’s a lot to be considered in regards to this issue. But having said that, should the state be utilizing these dollars for such things? Is it appropriate for the government to give one industry a hand up over others? I don’t think so. Between $30 million proposals towards UAS’s and his previous expression of support for the idea of giving pay raises to state employees, I can’t help but wonder just how serious Governor Burgum is about reinventing government and making serious cuts. 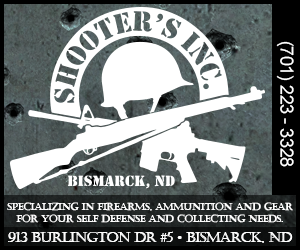 Using money from the state coffers to incentivize businesses and throwing more dollars at government employees long predates the Burgum administration. In other words, this is just more of the same. Is it any wonder that taxpayers never get the relief that they should? 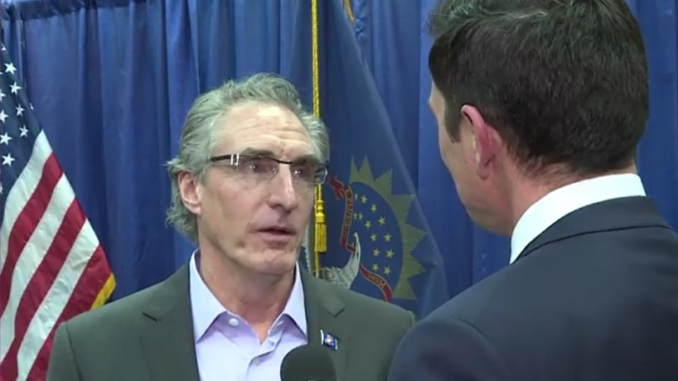 ND Gov Doug Burgum announced today that his Executive Budget will include a $30M investment into a one-of-a-kind network for Unmanned Aerial Systems. How will we pay for the $30M? Find out in the video. Coming up tonight on Point of View – Sen Hoeven talks carvan invasion, #BuildtheWall, Mueller probe, Farm Bill and more.